AD: Petron is official sponsor of Rainforest Challenge 2017, happening from now until December 4! Home » Special Coverage » Advertorial » AD: Petron is official sponsor of Rainforest Challenge 2017, happening from now until December 4! When it comes to competitive off-roading, it doesn’t get much more extreme than the Rainforest Challenge (RFC). Founded by Malaysian Luis Wee in 1997, the globally recognised and reputable 4×4 off-road obstacle racing and adventure event – now in its 21st edition – has been regarded as one of the world’s top ten toughest motor races, alongside the Dakar Rally, Baja 1000 and 24 Hours of Le Mans. Each year, competitors from over 50 countries travel to Malaysia to participate in the event, earning it a place in the Malaysia Book of Records for the most countries represented at a 4×4 event, as well as the biggest gathering of 4×4 vehicles in one venue, at 972 vehicles. 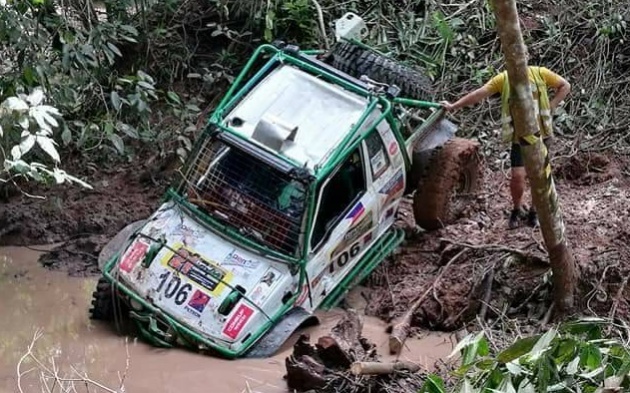 The success of RFC has spawned several events worldwide under the RFC Global Series, as well as an annual adventure expedition called the RFC Trophy. The Malaysian event, however, remains the largest – known as the RFC Grand Final, it is held at the end of each year. Held over the course of ten days, it’s broken down into four increasingly tougher sections known as Prologue, Predator, Terminator and Twilight Zones, with 30 Special Stages designed to whittle down the field and test the competitors’ limits in extreme off-road conditions. This year’s event, happening from November 24 to December 4, takes place in Pahang during the monsoon season, traversing through the areas of Balok, Sungai Lembing, Jeram Buloh, Hulu Pukin and Sebarau before finishing in Pekan. Petron is proud to be the official sponsor of the 2017 Rainforest Challenge Grand Final, having started its involvement in the event last year as part of the launch of Petron Turbo Diesel fuel. Petron Turbo Diesel Euro 5 is an ultra low sulfur premium diesel that meets the stringent requirements of Euro 5-compliant diesel engines, with 50 times less sulfur than Euro 2M diesel fuels. Its unique fuel conditioner also contributes to a more efficient combustion, while its advanced additive technology provides excellent cleaning action in modern direct-injected diesel engines. Furthermore, the fuel contains a higher cetane number that results in smoother and quieter engine operation, along with a TriAction Advantage advanced additive system to provide more power, greater engine protection and increased mileage. You also get improved ignition quality and cold start performance, excellent protection against corrosion and fuel foaming, increased oxidation stability and better fuel economy. Stay up to date on the 2017 Rainforest Challenge Grand Final on the official Petron Malaysia Facebook page, and you can also catch live updates on Hitz FM.